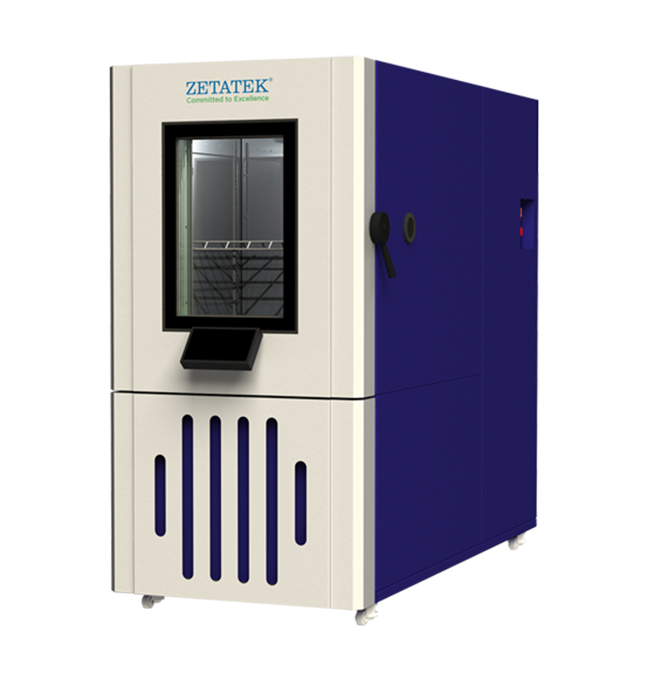 Combining over two decades of experience in the design and manufacturing of environmental test chambers, this new temperature (ZTF series) and climatic chambers (ZHF series) from Zetatek offers brilliant design, exceptional build quality, performance and reliability at economical prices. 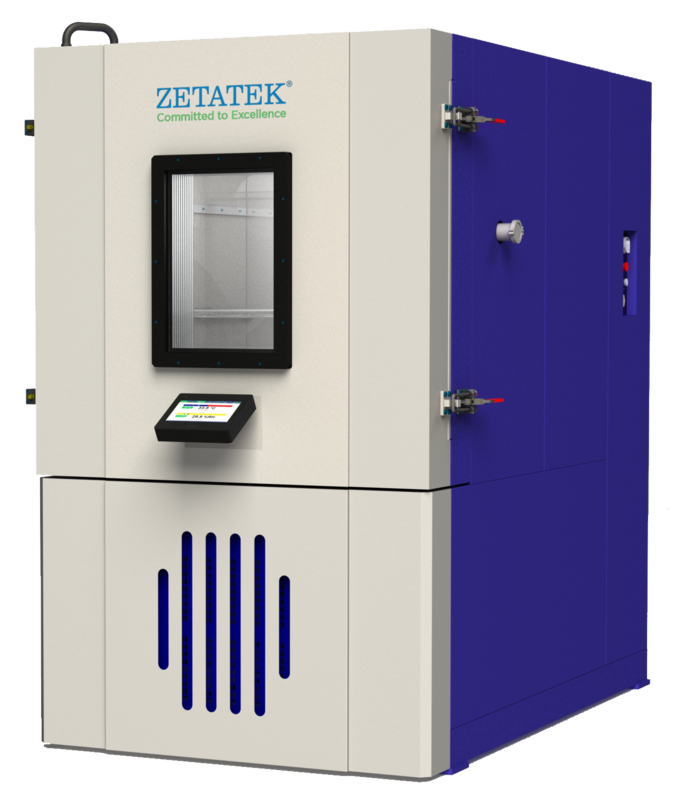 From the equator to the poles, from the deserts to oceans, simulate all kinds of environmental conditions in the new range of Zetatek environmental chambers. 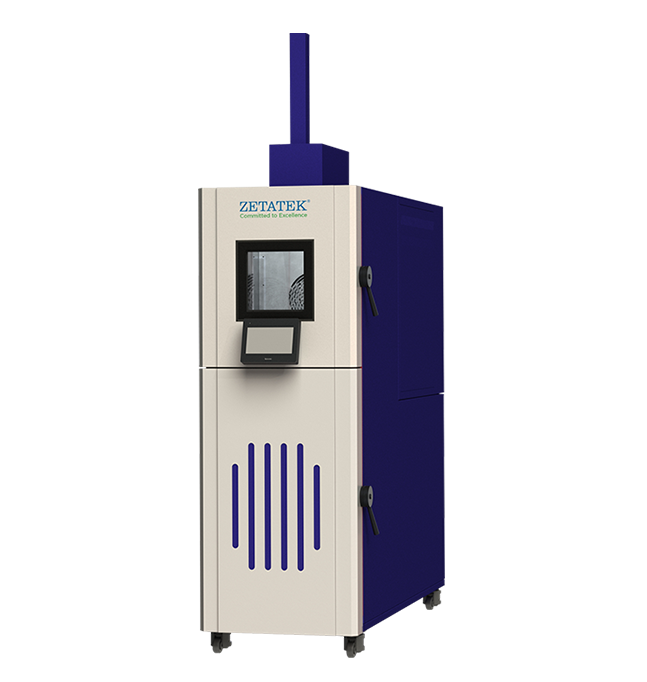 Test chambers of sizes varying from 400 litres to 2000 litres are available with temperature range from -70 °C to +180 °C and humidity range from 10% RH to 98% RH. 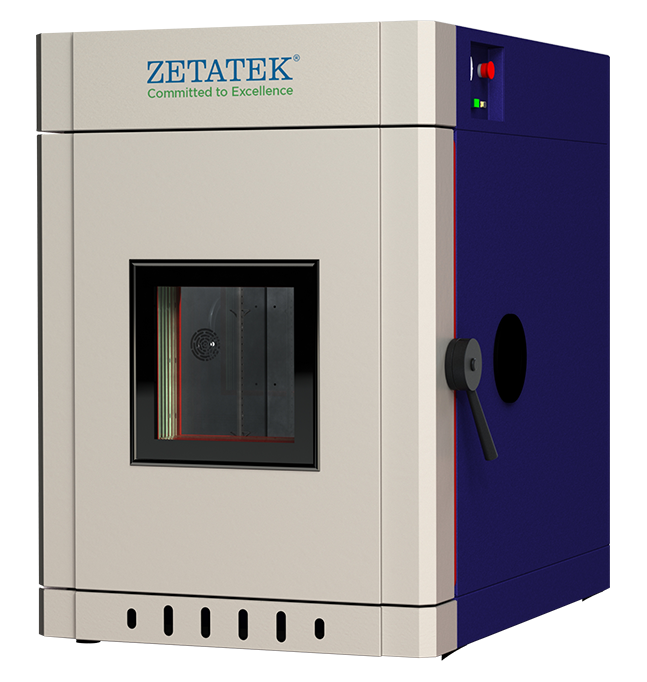 These chambers can be used anywhere from research and development to production purposes or even for quality testing. From circuit boards to satellites and missiles, from mechanical components to cars, any specimen can be subject and qualified to various environmental condition. Our chambers find their paramount application in industries such as defence, aerospace, automotive and electronics. The chamber body is made entirely out of sheet metal which helps in reducing weight. The outer panels are powder coated for corrosion-resistance and aesthetic appeal. The test space is made from Stainless Steel 304 which provides excellent resistance to corrosion. A mirror finish is provided to elevate the aesthetic look. The inner tank is welded air tight so that moisture does not leak into the insulation. Multilayer Composite insulation with rock wool and phenolic foam is used to provide resistance against high and low temperature with only 100mm insulation thickness. The door can be easily engaged and disengaged with an elegant rotary latch. 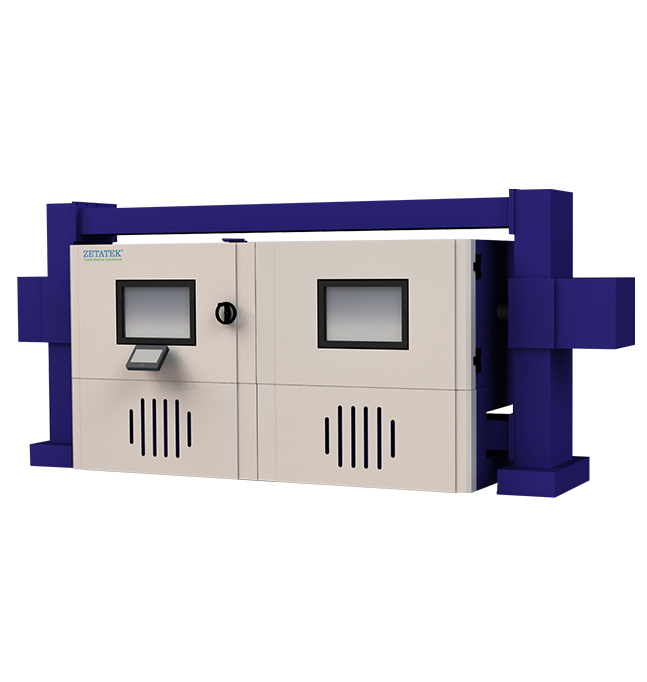 Specially designed bottom false sheet with baffles is used to uniformly distribute the air throughout the test space providing uniformity/homogeneity within ±1 °C. 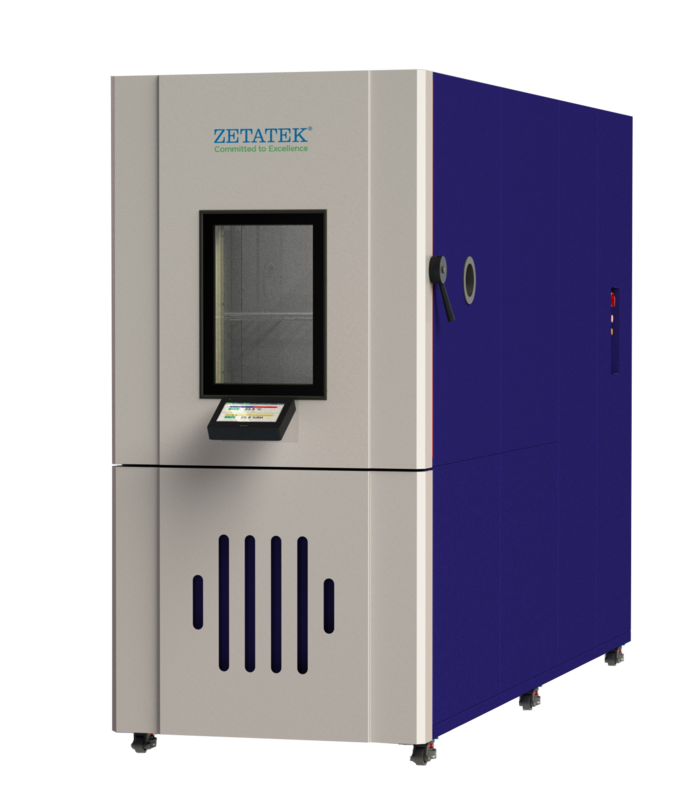 Humidity is generated with the help of a water bath located inside the chamber. This type of system is highly energy efficient and provides economical use of water and better control. Access port is provided for connecting cables to the test specimen inside the test space during testing. Ports Holes are covered with soft silicon sealing ports to avoid thermal leakages. Large inspection window with multi-layer vacuum sealed toughened glass and heating system for clear visibility of test specimen. Heavy Duty castor wheels with leveling pads makes it convenient to move the chamber around. Push to open side panels for easy access to refrigeration compartment. Accessible from anywhere with a web browser over the internet. Safe access through personalised passcode. Exportable to CSV file for easy analysis and graphing in Excel. Automatic and periodic system maintenance notifications. Programmable timers to set reminders. Test programs can be downloaded from a USB pen drive. Zoom in, zoom out and scroll of graphs. Multizone PID for effective control. Multiple portholes of 75mm or 125 mm diameter. *Customization of options and accessories made on request.